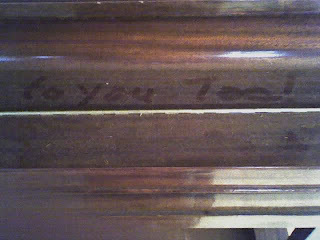 Whilst maman was in Chicago doing a Class Five decon of my sister's apartment, my dad and I noticed that you could actually see dust built up on the piano. It was a beautiful thing. Sadly, there are no cat pawprints in it, because that would be classic. We mentioned this in amusement to mom, and she said something to the effect of, "I'm retired, I'll get around to it eventually. I have all this free time now." Or something similarly whimsical. That was the first sign. 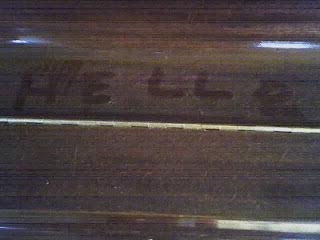 It was there for a couple of days before I pointed it out to mom on her way to bed one night. The wine quotient may be partially responsible for what happened next, but I'm not sure. Whoever these aliens are, I hope they never give her back. We're having too much fun with her replacement.